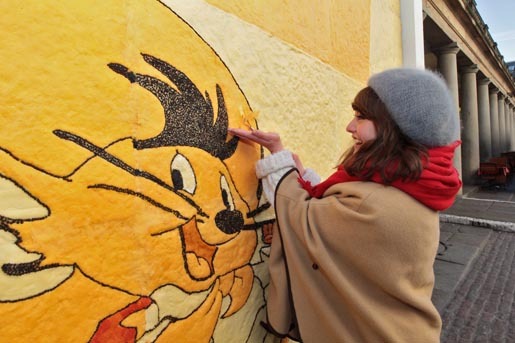 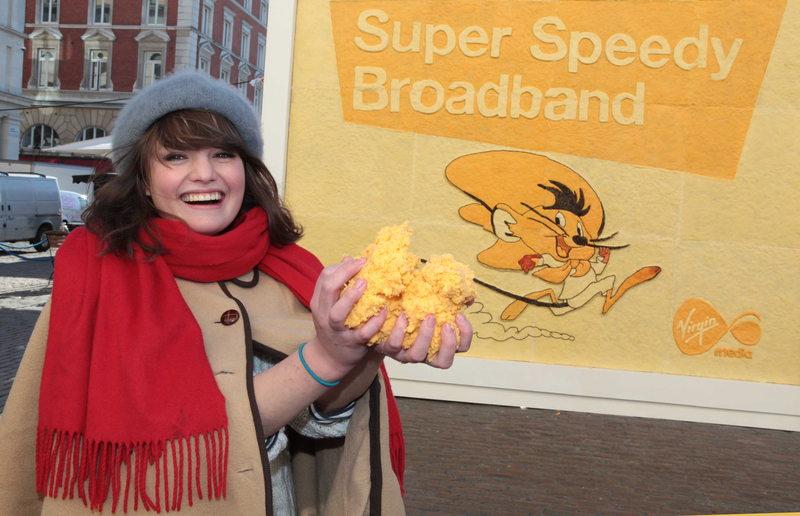 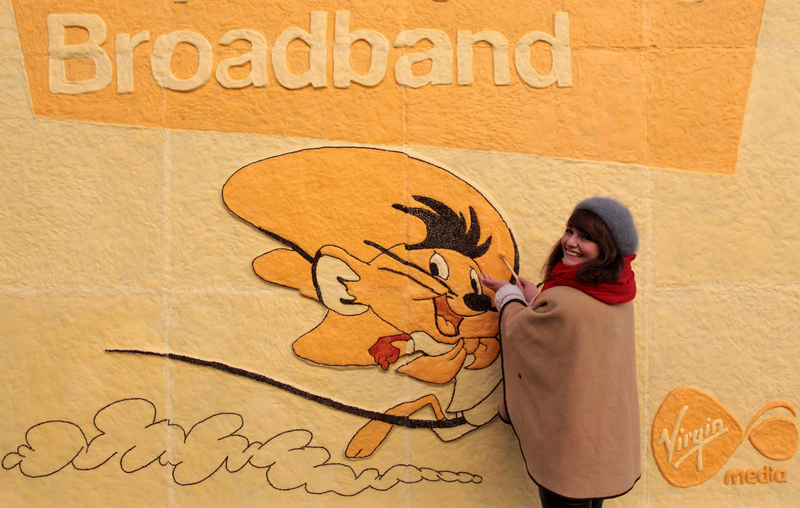 Virgin Media’s launch of the Speedy Gonzales fastest broadband campaign in the UK included a billboard made entirely from cheese. Erected in Covent Garden, London, the billboard stars cartoon character Speedy Gonzales, the cartoon character known for his love of cheese. The 5m by 4m 110 kg billboard, produced by Prudence Emma Staite and a team of 13 artists from Food is Art, took eight days to craft in a chilled studio using ten types of locally sourced cheese including Double Gloucester. 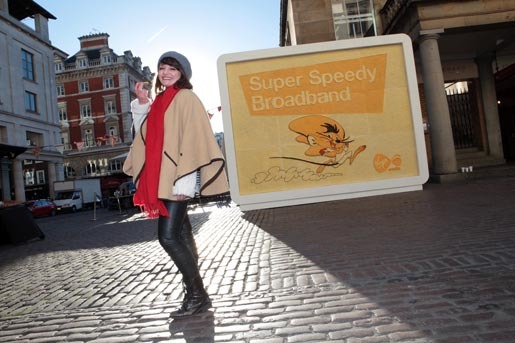 The campaign includes TV advertising, poster ads across London Underground stations, social media and online plus print and radio to make the most of Speedy’s unique voice. The Speedy Gonzales campaign was developed at DDB London by executive creative director Jeremy Craigen, creative directors Guy Bradbury, copywriter Chris Lapham, art director Aaron McGurk, account planner Richard Hill, account directors Louise Garnar and Andy Gilbert. 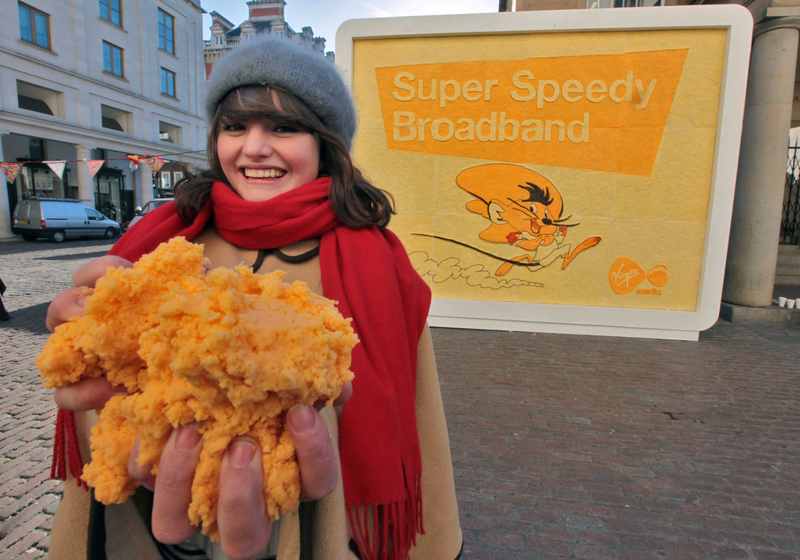 The Cheese Billboard was constructed by Prudence Emma Staite and team at Food Is Art.